Mir Qamaruddin was born on 11th August, 1671 (14 Rabi-us-Sani 1082 Hijri) the chronogram indicating the date being “Nek Bakth”1 or fortunate. Aurangzeb gave him the name Qamaruddin. At the age of six he came to the court with his father and was awarded a ‘Mansab’. The Emperor took a special liking to the boy and predicted his future greatness. At the age of 20 he received the title ‘Chin Qalich Khan’ (Boy Swordsman) from Emperor Aurangzeb and was soon raised to the governorship of Bijapur. After Aurangzeb’s death on 3rd March, 1707 when Prince Azam Shah (his second son) assumed the title of Emperor, he conferred on Chin Qalich Khan the higher title of Khan-i-Dauran with the command of 6000 horses and governorship of Burhanpur. Azam Shah invited Chin Qalich Khan to accompany him to Delhi but he did not accept the offer and left his camp and returned to Burhanpur. Bahadur Shah, the eldest son of Aurangzeb, gave him the governorship of Oudh and the office of the Faujdar of Lucknow but he found Bahadur Shah’s administration different from that of Aurangzeb. Therefore, he resigned his job and retired to private life in Delhi. He then devoted himself to the company of learned and religious men for a period of almost five years. Jahandar Shah, the successor of Bahadur Shah, tried to persuade him to leave his retirement and take office but he was not keen to accept any assignment under the prevailing turbulent political conditions. 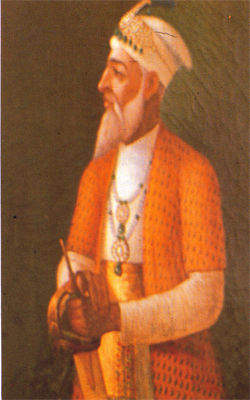 The next Emperor, Farukh Siyar, bestowed on him a higher title, that of ‘Nizam—ul-Mulk’ Fateh Jung in 1713 and appointed him Subedar of six provinces of the Deccan and Faujdar of Karnatak . It was the beginning of a new chapter in his life. The Nizam performed the most eminent services in his new and exalted post and was the first to chastise the plundering Marathas. In spite of his achievement the two Sayyads in whose hand the Emperor was a mere puppet, resolved to remove him and reserve the governorship of the Deccan for themselves. The Nizam was disgusted with the court intrigues. He remained passive until the death of Farukh Siyar and his two successors, Rafi-ud-Darjat and Rafi-ud-Daula. During the early years of Muhammad Shah’s reign (the seventh successor of Aurangzeb) the Sayyads removed Nizam—ul--Mulk from the post of Faujdar of Muradabad and sent him to Maiwa. Here also, Nizamu l-Mulk acted with his usual vigour. The Sayyads were alarmed at his proceedings and prevailed upon him to resign from Maiwa and choose some other province. At this stage the Nizam felt the necessity of breaking the power of the two Sayyads, who had already murdered one Emperor (Farukh Siyar) and deprived his three successors, Rafi-ud-Darjat, Rafi-udD aula and Muhammad Shah of every vestige of power. Nizam-ul-Mulk therefore moved to his old Government of the Deccan and vanquished in succession the two armies, each having more men than his own, that were sent against him. This was followed by the death of the two Sayyads. Muhammad Amin Khan was made ‘Vazir’ but on his demise, Emperor Muhammad Shah offered Nizam the high office of ‘Vazir’. The Nizam was desirous of restoring the empire to the old flourishing state of Shah Jehan and Aurangzeb, and therefore, with earnest spirit of reform appointed Azad-ud-Daula his Vice-Regent in the Deccan and joined the Emperor at Delhi. The veteran statesman vigorously opposed Muhammad Shah’s favourites and their ways. Again he was unhappy with court politics, and therefore left the post of Vazir and marched to Aurangabad to reinstall himself as the Subedar of the Deccan which he had entrusted to Azad-udD aula, his Vice—Regent, before proceeding to Delhi. But owing to changed circumstances and politics, this time he had to acquire the Subedari by force. Negotiations between Nizam-ul-Mulk and Mubrez Khan failed. Mubrez Khan marched against the Nizam who was ready to meet the challenge. A battle was fought at Shaker Khada in Berar, 80 miles from Aurangabad, on 11th October, 1724 against Mubrez Khan, the Subedar of the Deccan. In this decisive battle against great odds, Nizam ui- Mulk overthrew and killed Mubrez Khan . After the victory, officers and soldiers who took part in the battle were rewarded with cash and titles. After settling Aurangabad and adjoining districts, the Nizam moved to Hyderabad and stayed in the Gosha Mahal Gardens. He reorganised the administrative machinery and finances which were in a chaotic state. He also systematised the collection of ‘Chauth and Sardeshmukhi’ by the Marathas. The troubles caused by the Marathas were alleviated. When the Emperor heard the news that Nizam had subdued the Province of 1-lyderabad and pacified the whole of the Deccan, he felt that conciliation would be the best policy. The Emperor Muhammad Shah issued a farman conferring on the Nizam the title of ‘Asaf Jah’ and the suhedari of six provinces of the Deccan. Reciprocating Muhammad Shah’s gesture, the Nizam replied to the Emperor in a humble way expressing himself as his ‘Fidwi’ or servant. Although from that time the Nizam became virtually an independent sovereign, he was always ready to assist the Emperor with his services. According to the statement of Tazkirat-ul-Mulk (of Muhammad Yahya Khan) and Ahwal—ul-Khawaqin (of Muhammad Qasim Aurangabadi) an astrologer had prophesied that if Nizam—ul-Mulk so desired he could sit on the throne. But he is reported to have dismissed the suggestion saying, “May throne and umbrella bring good fortune to him who holds them! My business is to preserve my honour, and if this be mine what need have I of an Imperial throne?” Reassured of security in the Deccan, Nizam-ul-Mulk left for Burhanpur on 17th April, 1737 and reached Delhi on 12th July, 1737. Nizam-ul-Mulk was welcomed by his son, Ghaziuddin Khan Feroz Jung, and Itimadud Daula Qamaruddin Khan. Muhammad Baksh Ashob gives a vivid description of the scene of Nizam-ul-Mulk’s entry into the capital which is as follows: “Crowds thronged the road and impeded progress. Within the city the roofs of the shops and houses were covered with sight-seers; while mendicants thicker than flies at a sweetmeat shop gathered round his elephant, paying no heed to sticks and bamboos with which the attendants tried to drive them off. His elephant could no more than creep along and it was not till after mid-day that they reached the Delhi gate of the fort. Here Nizam-ul-Mulk entered his litter, plainly fitted with broad-cloth, while the vazir used one fringed with pearls and covered with cloth of gold. The vazir allowed Nizam-ul-Mulk to be two paces ahead of him to show his respect to him. At the drum-house they alighted, and hand in hand entered the privy audience-hall. On coming before the Emperor he made his offerings and was honoured in return with a robe from the Emperor’s own wardrobe and a jacket called ‘Charqab’, worn only by the members of the Chaghtai house, descended from Timur.” Nizam-ul-Mulk had forecast Nadir Shah’s intentions and calamity to the Mughal Empire as early as 1723 but his advice and the corrective measures suggested by him were ignored. At the time of Nadir Shah’s invasion in 1738, the Mughal Emperor gave full authority to Nizam-ul-Mulk to negotiate an honourable settlement. The Nizam succeeded in obtaining from Nadir Shah the order to stay the great massacre in Delhi, when no other person, not even the Emperor, dared to address the invader. Nizam-ul-Mulk was well received by the monarch who addressed him thus: “It is surprising that while there are nobles like you on the Emperor’s side, the Marathas can march upto the walls of Delhi and take ransom from him”. To this Nizam-ul-Mulk replied: “Since new nobles rose to influence, His Majesty did whatever he liked. My advice was not acceptable to him. Therefore in helplessness, I left him and retired to the Deccan.” Nadir Shah complained to Nizam-ulM ulk about the indifferent attitude adopted by the Delhi court towards him. Nizam-ul-Mulk tried to satisfy the Emperor by explaining: “Since the death of Farukh Siyar, the affairs of the Government have gone to rack and ruin owing to quarrels among the nobles, and therefore the ministers did not attend to Your Majesty’s letters.” It is stated that Nadir Shah Nizam-ul-Mulk never openly claimed independence of the Deccan from the Central Government. But practically from 1724, he carried on the government of the six Subas of the Deccan without any reference to Delhi, unhampered in the exercise of all the sovereign attributes of a State. He conducted wars, concluded treaties, conferred titles without asking for permission from the Imperial Government. But his loyalty to the Emperor remained unshaken. He refrained from the use of the Scarlet or imperial umbrella, coins continued to be struck in the name of the Emperor and his name in the Khutba (Friday Sermon) continued to be read throughout the Deccan. Even in his testament, Nizam-ul-Mulk advised his successor to keep intact the traditional relations of loyalty with the Imperial Government. The tenth article of his testament runs thus: “That he (whom-so-ever it may concern) should know that the state of the Deccan depends upon the subservience and service to the Emperor and that he should never allow himself to be remiss in respect due to the Emperor. If he did so, he would be object of contempt of God and man.” According to the statement of Tazkirat-ul-Mulk (of Muhammad Yahya Khan) and Ahwal—ul-Khawaqin (of Muhammad Qasim Aurangabadi) an astrologer had prophesied that if Nizam—ul-Mulk so desired he could sit on the throne. But he is reported to have dismissed the suggestion saying, “May throne and umbrella bring good fortune to him who holds them! My business is to preserve my honour, and if this be mine what need have I of an Imperial throne?” Reassured of security in the Deccan, Nizam-ul-Mulk left for Burhanpur on 17th April, 1737 and reached Delhi on 12th July, 1737. Nizam-ul-Mulk was welcomed by his son, Ghaziuddin Khan Feroz Jung, and Itimadud Daula Qamaruddin Khan. Nizam-ul-Mulk had forecast Nadir Shah’s intentions and calamity to the Mughal Empire as early as 1723 but his advice and the corrective measures suggested by him were ignored. At the time of Nadir Shah’s invasion in 1738, the Mughal Emperor gave full authority to Nizam-ul-Mulk to negotiate an honourable settlement. The Nizam succeeded in obtaining from Nadir Shah the order to stay the great massacre in Delhi, when no other person, not even the Emperor, dared to address the invader. Nizam-ul-Mulk was well received by the monarch who addressed him thus: “It is surprising that while there are nobles like you on the Emperor’s side, the Marathas can march upto the walls of Delhi and take ransom from him”. To this Nizam-ul-Mulk replied: “Since new nobles rose to influence, His Majesty did whatever he liked. My advice was not acceptable to him. Therefore in helplessness, I left him and retired to the Deccan.” Nadir Shah complained to Nizam-ulM ulk about the indifferent attitude adopted by the Delhi court towards him. Nizam-ul-Mulk tried to satisfy the Emperor by explaining: “Since the death of Farukh Siyar, the affairs of the Government have gone to rack and ruin owing to quarrels among the nobles, and therefore the ministers did not attend to Your Majesty’s letters.” It is stated that Nadir Shah offered the Empire of India to Nizam-ul-Mulk, who declined it saying: “I and my ancestors have from ancient times been in the service of the King of Delhi. Such an impropriety of conduct on my part will make me notorious as one untrue to salt.” During his absence in Delhi, where he stayed for nearly four years, his son Nasir Jung had rebelled and made himself the master of the Deccan. The Nizam, however, marched back to the Deccan on 23rd July, 1741 and with undiminished power successfully wrested his province from his rebellious son. “Nasir Jung was brought a prisoner to Nizam-ul-Mulk’s camp where a separate tent was pitched for him. His wounds were attended to by the best surgeons available. Nizam-ul-Mulk sent him a special robe and the scarf which he was wearing at the moment. He is reported to have given expression to his feelings on this occasion, in the following words Today Almighty, by His Grace, has accorded me three reasons to be happy. First, the victory; secondly, the safety of Nasir Jung; and thirdly, the experience of the latter’s valour. Since his childhood I have known him to be courageous; today I have seen with my own eyes how brave he is. There are few who can equal him. Next morning Nizam-ul-Mulk entered the city of Aurangabad with military pomp and show. He was advised by his secretary, Musa Khan, to take harsh measures against those who had taken up arms against the Government, but Nizam-ul-Mulk wisely refrained from doing so. He said that those who had taken an active part in the rebellion should be removed from service and deprived of their titles and fiefs; this was quite enough as they had already received ample retribution in the battle for their evil intentions. After satisfying himself with the arrangements that he made at Aurangabad, he went to Karnatak in 1746 to subjugate the semi-rebellious province. After taking the fort of Trichinopoly and expelling the Marathas from Karnatak he returned to Aurangabad. At this time he was suffering from some illness and stopped at Burhanpur for some time. But upon hearing that there were fresh disturbances at Hyderabad, though extremely weak, he marched south and encamped near Mohan Nala. Day by day his weakness increased, and on Sunday 22nd May, 1748 he passed away peacefully at the age of 78 and was buried at Khuldabad. Before his death Nizam-ul-Mulk called his son Nasir Jung and gave him the following instructions which served as a guideline and influenced the conduct of successive Nizams. “1st: It behoves the Prince of the Deccan to be at peace with the Marathas, who are the landholders of this territory. “2nd: Be careful how you destroy the human fabric, the creator of which is the God of all the worlds. The criminal who deserves to be put to death should be delivered over to the Kazi, who is the administrator of the Law. “3rd: Be not a friend of ease and give not up travel, for on that depend many arrangements, and consider that quarters are necessary for people’s repose, and it is also well to station troops near their homes, so that the population may survive. “4th: Distribute your whole time, night and day, in the service of God, and the business of His people, and in relaxation, and never sit idle. “5th: In important affairs ask blessed intercessions of venerable and holy men. “6th: Destroy no man’s right, and give to each servant his type of service, and after a year or so remove one man and appoint another, but do not appoint a mean man to do a noble man’s work or vice versa. “7th: Keep each man within his proper bounds,, and look upon your younger brothers as sons, and do not admit mean persons to your company or court, and do not relinquish the respect due to the Shadow of God (The Emperor), who is your benefactor. “8th: As far as possible, do not take the initiative in war, not even if your adversary is inferior to you. And when your opponent commences war against you ask God for help and strive to repel him; and seek not war with one who proposes peace. Nizam-ul-Mulk was brought up in the traditions of Aurangzeb and trained as a soldier and statesman. He was the Governor of the Deccan thrice, first from 1713 to 1715, then from 1720 to 1722 and again from 1724 till his death in 1748. The political status of Nizam-ul-Mulk was of “Sipah Salar”, popularly known as the ‘Subedar’ of the Mughal province. He was the Subedar of the Deccan but was made “Wakil-i-Mutlaq”, a status higher than the Vazir. Whenever a farman was sent by the Emperor from Delhi, Nizam-ul-Mulk would go to a place known as “Farman Badi” and receive it with full honours and raise it over his head. This shows the profound respect he had for the Mughal Emperor and his orders. Throughout his life he remained a powerful force in the Mughal court. The military service rendered by Nizam-ul-Mulk earned him recognition as a great general. His six subas extended all over the Deccan from the river Tapti to the frontier of Mysore and Karnatak right upto Trichinopoly. He saw the reign of seven kings and fought 87 battles during his lifetime. He was essentially a lover of peace but he was forced to spend the greater part of his life armed and in a saddle. He believed in simple living and work was his greatest pleasure. He was a poet, fluent in Persian and Turkish. 1-Ic was wise, generous and capable of seeing far beyond his time. A very religious man himself, he firmly believed in tolerance towards other religions. He stood by the Throne until his last days, serving the highest post of Prime Minister and then as viceroy. Although he was in favour of the French he maintained cordial relations with both the British and the French, and followed a policy of non-involvement in the rivalry for power. Nizam-ul-Mulk played the key role as a mediator during Nadir Shah’s invasion of India in 1738 and was mainly responsible for the establishment of peace. Nizam-ul-Mulk’s supremacy in the Deccan was the result of his military victory in the battle of Shaker Khada. 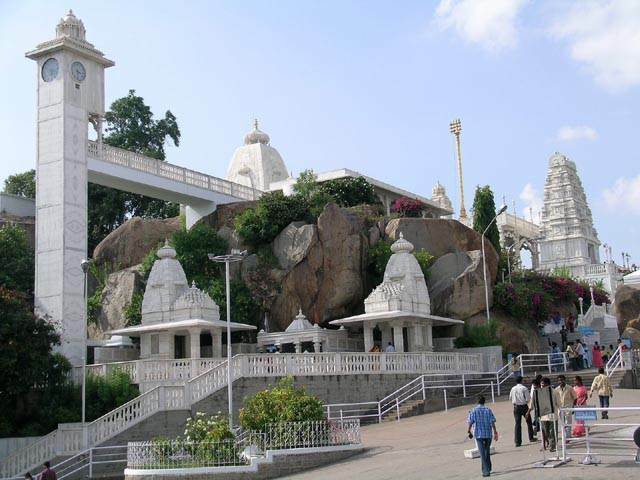 This was one of the decisive battles of India — laying the foundation of the de facto sovereign state of Hyderabad. He re-established the Imperial authority in the troublesome Deccan and his dynasty was able to rule for nearly 225 years. He was one of the most able statesmen India has produced.